Over The Waves To Shetland, The Scottish Music Shop - The Best Selection of Scottish CDs and Scottish DVDs. 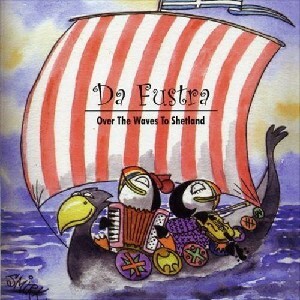 Fast-paced, full-bodied and totally intoxicating, Da Fustra blast back with another album of excellent dance sets in the Shetland tradition. Superb arrangements and oodles of bounce; waltzes, two-steps, three-steps, reels and jigs, plus a slow air or two.